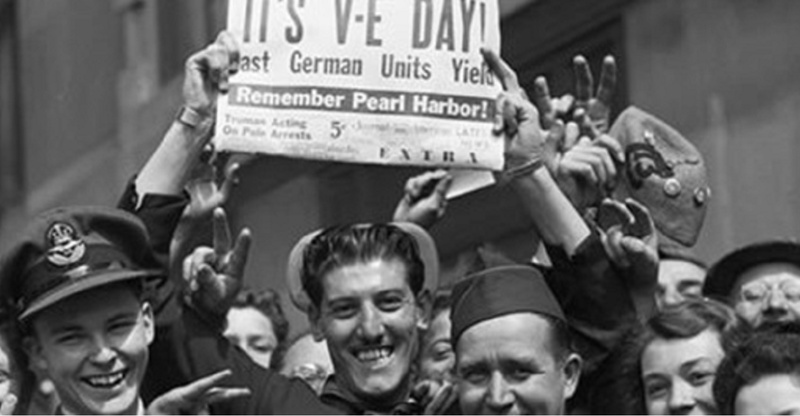 Students of World War 2 have often remarked that although VE (‘Victory in Europe’)-Day was not until May 8, 1945, in a very real sense the war in Europe was won on June 6, 1944 — D-Day, when some 200,000 soldiers sailed across the English Channel to France to storm the coasts of Normandy. From the day-to-day experience of things however, this war was still very much in full swing. The dangers were many — and they were everywhere. There is something about this that has close resemblance to Christian experience. At advent, God himself invaded history, came as one of us to our rescue and has fought the decisive battle of the war on sin, death and the forces of evil. In his death and resurrection Christ has “obtained eternal redemption for us” (Heb. 9:12). Final victory has been secured. Yes! But like Hitler, knowing his time was all but up yet launching his last great hurrah, Satan, knowing his time is short, is on a furious rampage against the people of Christ seeking to do what damage he can. And we, the people of Christ, safe though we are in Christ, feel it. And there are casualties. From the perspective of the trenches, the war is still on. Sin, temptation, suffering, injustice, sickness, death, loneliness, disappointment, failure. There are injuries and casualties of all kinds. “Satan hinders us,” and so does the world. And so does our own flesh. We must never lose sight of the fact that we struggle in hope and in certainty of final victory. Redemption has been accomplished but there may be many skirmishes still. But it is heartening indeed as we recall that ‘D-Day’ is behind us and we are assured by it that ‘VE-Day’ is ahead. The redemption that Christ accomplished for us will yet be ours in full experience, at Christ’s second advent.